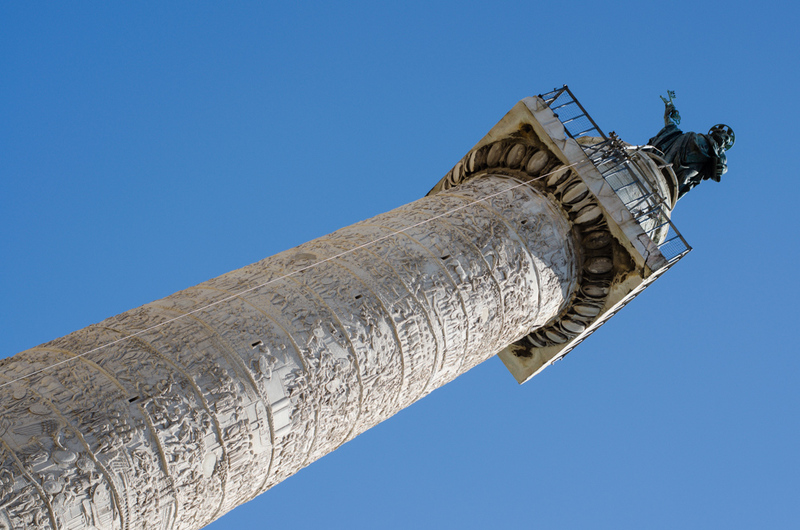 Trajan’s Column was erected in celebration of the Roman victory over the Dacians. The victory only came after a long succession of epic wars, the story of which is carved into the face of the column spiraling upward. It’s pretty cool. Check it out if you’re in the area, but don’t make a special trip just to see it. It’s not. On top is Saint Peter. Trajan’s ashes are stored in the bottom. We spent a little bit of time walking around the area of Trajan’s Forum. The forum itself is just a bunch of foundations for buildings; not as impressive as the hypogem of the Colosseum so we didn’t spend much time in that direction. In Trajan’s shadow is the Church of the Most Holy Name of Mary, or Santissimo Nome di Maria al Foro Traiano. No idea what’s inside but the Baroque architecture was quite beautiful. We wandered around the area for a bit trying to find the Le Domus Romane di Palazzo Valentini. We looked at maps. We wandered in circles. We laughed. We cried. We argued in the blistering heat of the Italian sun. We never did find it. Which is stupid, because it was literally attached to the Church of the Most Holy Name of Mary, just on the other side. We did have an enjoyable walk up and down Via Quattro though.